1. Today is Valentines Day. Ashley made me a sweet card with hearts on the inside. She also put play money in the card $10.00. I am trying to teach her about being grateful and that we can't have everything. I might be going overboard cause she starting to say things like we can't afford that. Then when she put the money in the card it kind of pierced the heart. I think she had a great day!! They did not have a party at her school but did have a party at Chesterbrook. After grandma worked with her on her valentines cards last night she forgot to pass them out at Chesterbrook. 2. 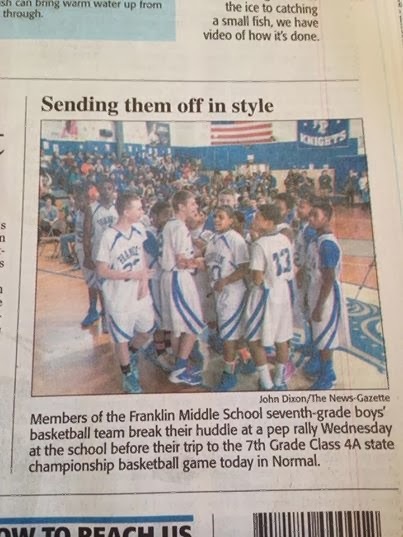 Last night my Franklin Nights 7th grade boys basketball team played for the State Championship Game in the IESA 7 4A State Game at Normal Kingsley we played Normal Parkside. We lost but it was a great game and our boys played their hearts out. 3. We had a pep rally on Wednesday for the boys before the State game. We made the local paper. It was so much fun. This is why I love being Athletic Director and teacher. 4. One of the snow days we had Ashley and I went to the movies. Everybody was talking about Frozen. Ashley loved it!!! This was first movie Ashley and I have gone to - Grandpa and Grandma have taken her before. Except now she is at the age that she likes movies and is begging to go back to see a movie. 4. Last week Ashley celebrated 100 days of school. She need to collect something to take to school. 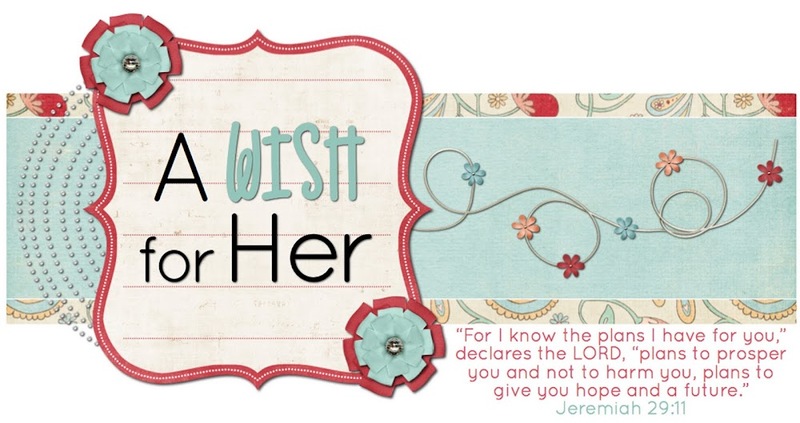 I had to go to pinterest and see what we could do that would fit in her book bag. We decided on a Caterpillar with grandma's help.